Carry your money, keys and phone at the same time while you run, jog, hike or any other outdoor activity. 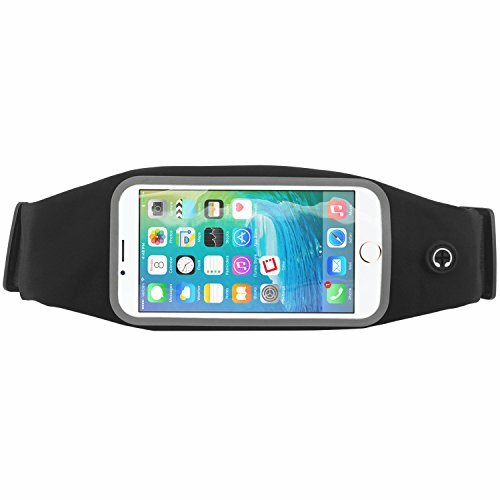 Made of sweat and water resistant neoprene material, this storage belt keeps your important items within reach as you exercise. High elastic adjustable band has a minimum length of 25 inches that stretches up to 50 inches and the clear, transparent window allows you to utilize the touchscreen functionality on your phone. Built-In earphone hole lets you plug in your 3.5mm headphones to your phone easily. Fits smartphones up to 5.9 inches in length and 2.9 inches in width. If you have any questions about this product by Cellet, contact us by completing and submitting the form below. If you are looking for a specif part number, please include it with your message.